MOVIEBOB: What Is Superman Fighting In This "Man of Steel" Clip? What Is Superman Fighting In This "Man of Steel" Clip? So! Big swirly vortex, what look very much like tentacles or tendrils of some kind, possibly a glowing "eye" or orb of some kind at the center? Could be mechanical in nature, could be a creature, could be something else entirely? 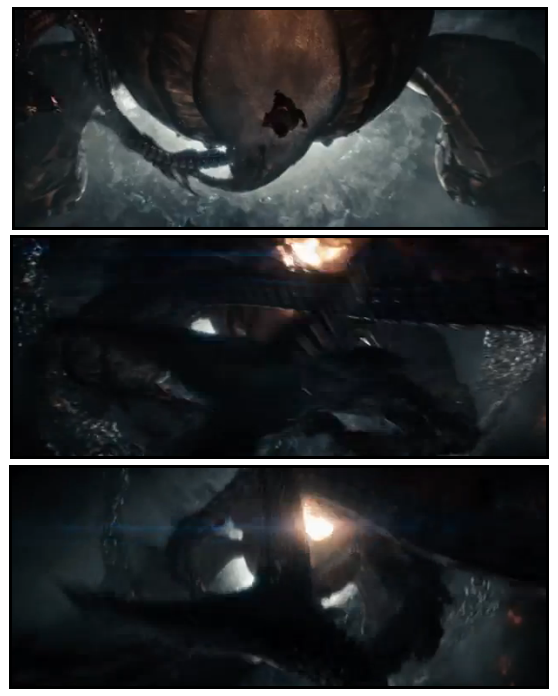 The "arms" immediately make me think of Starro The Conqueror... but I can't believe Nolan and company would go for that. Brainiac? Some new, weird version of the Phantom Zone?